James McDonald has labelled Saturday “D-Day’’ for Invincible Star to show her Everest credentials in a rematch with Redzel at Royal Randwick. The Gai Waterhouse and Adrian Bott-trained mare did more than enough in McDonald’s eyes first-up from a 10 month absence in finishing 1.2 lengths from Redzel in the Concorde Stakes (1000m). But when they square off again in the Group 2 $200,000 The Shorts (1100m) on Saturday, a race containing four Everest runners, he’s expecting a different result. “It was a good run after a big layoff, she was very big in the yard and will take good benefit,’’ McDonald said. “She went head to head with Redzel and just blew out the last furlong. Invincible Star blew to $26 in TAB’s all-in market for the $13 million TAB Everest (1200m) following that first-up defeat where she started favourite aheads of Redzel. The defending champ is now the Everest favourite at $5 and opened $1.80 on Monday to go back-to-back in The Shorts ahead of English ($5) and Invincible Star ($6) with Brave Smash, third in last year’s Everest, an $8 chance in his second run back this spring. 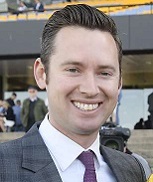 As far as assessing Invincible Star’s return, co-trainer Adrian Bott echoed McDonald’s view. “By no means were we disappointed with the first-up run,’’ he said. Invincible Star ran the fastest first 400m of the Concorde in 23.54, according to Punters Intel, but with Redzel breathing down her neck her last 600m of 32.72, while still fast, was third slowest in the nine horse field. That suggests to Bott that there’s improvement to come and he said the four-year-old came through that run in good shape. “With nine months off the scene she needed a run like that to bring her on. She has worked well since and she has tightened up a bit for that,’’ he said. The Shorts will be English’s first appearance this spring and a chance for her to show she can improve on her sixth placing in the inaugural TAB Everest. The six-year-old ran fourth in the Shorts, won in track record time by Redzel, when resuming last year and Bott said she will be better for whatever she produces fresh. “The 1100m with a tempo set by the likes of Invincible Star and Redzel might get her out of her comfort zone slightly,’’ he said. “Her trial was good the other day and she still has more improvement to come. Now she is getting older the tempo of a 1200m race will be more to her liking.